Hand operated Air Blower offered by us are use to all smaller tea stores and very small iron industry. Hand blower is working with handle not electrical motor. Application: BBQ, making a fire, small furnace. kitchen vehicle, Jewellery Making Tools etc. 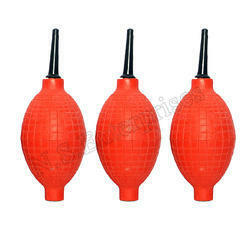 Owing to the wide experience in this domain, we are instrumental in offering Handheld Blower to our clients. Our company has gained name and fame in presenting Electric Hand Operated Blower. We are the leading entity in the industry, highly engaged in manufacturing the best quality range of Gear Hand Blower.